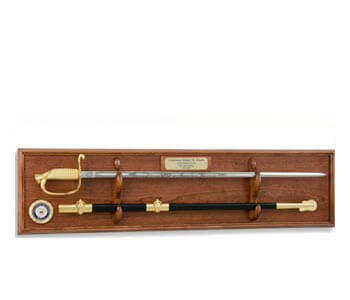 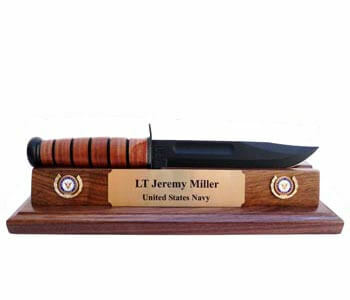 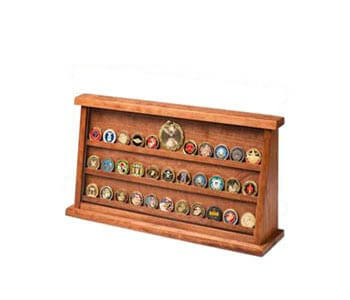 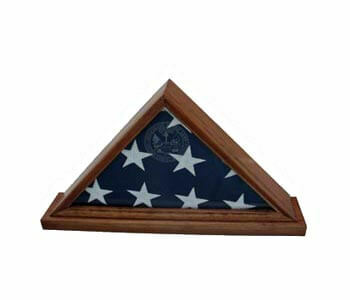 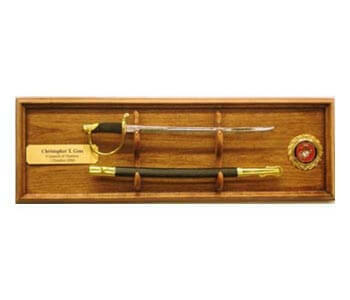 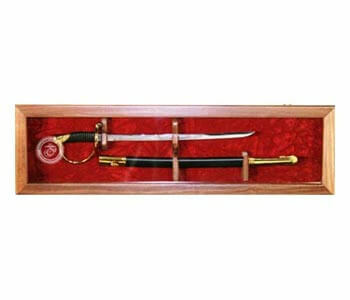 The KaBar Knife Displays are crafted using solid American Hardwood and finished to a fine furniture grade appearance. 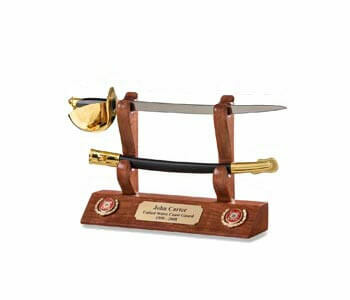 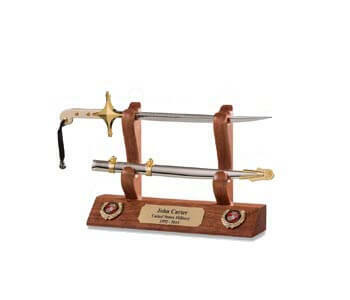 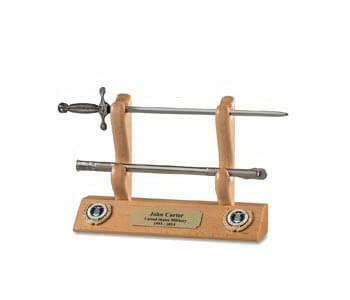 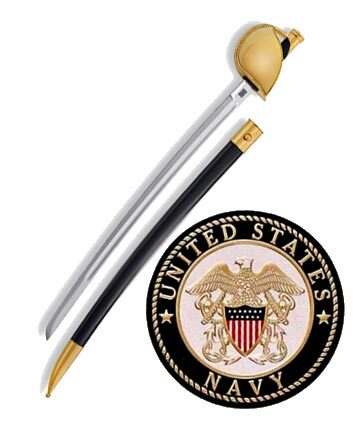 You will be proud to display these Knife Letter Openers, and happy to use them for their intended purpose. 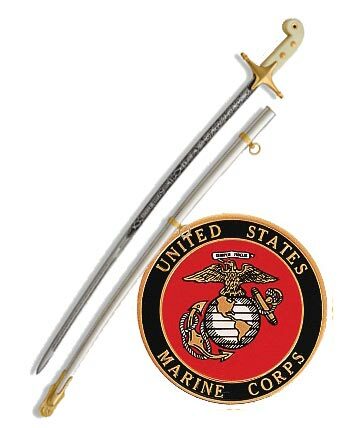 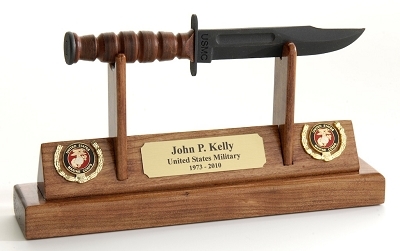 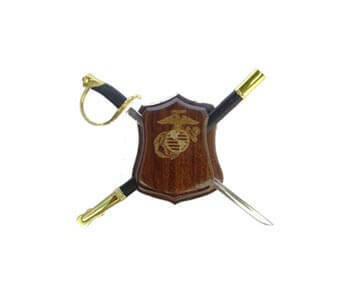 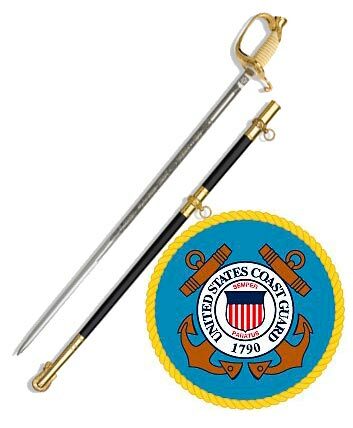 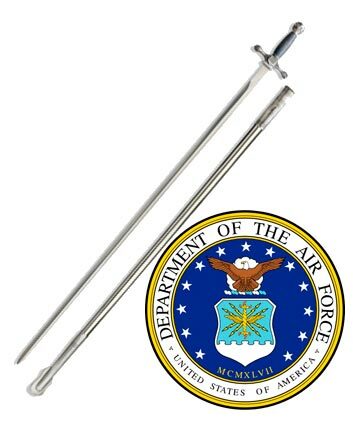 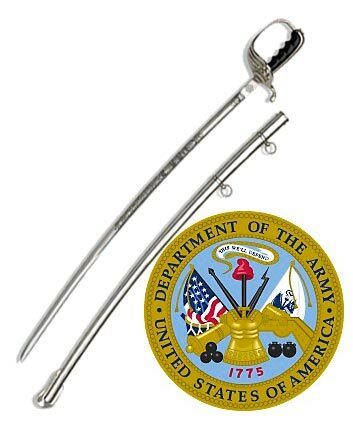 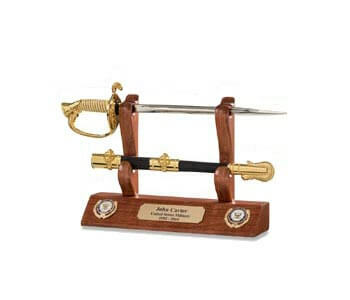 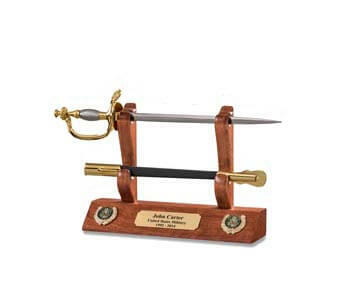 The miniature KaBar Knife is an exacting replica of the knife first issued in USMC 1943. 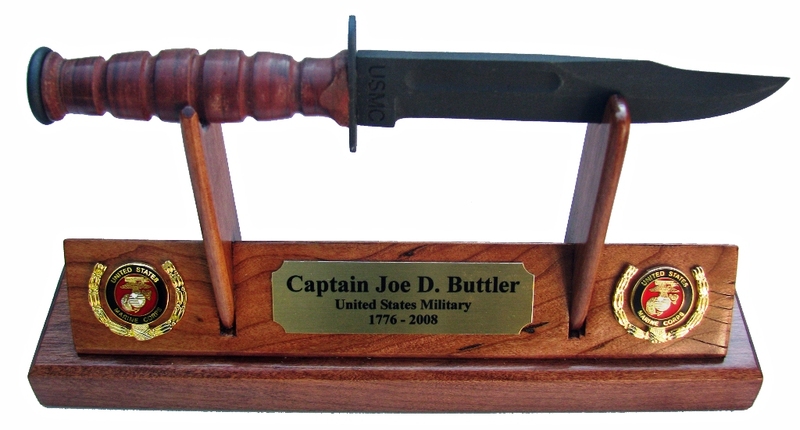 The letter opener knife features a steel blade with a black non-reflective finish, stacked leather grip, and authentic detail.